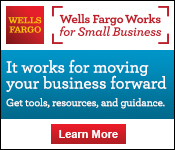 Article provided by the Doris Miller VAMC, published in the fourth quarter edition of the Greater Waco Business magazine. 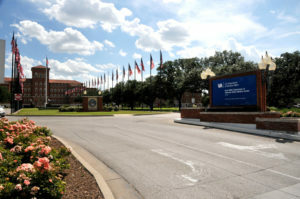 The Doris Miller Department of Veterans Affairs Medical Center (VAMC) in Waco is part of the Central Texas Veterans Health Care System (CTVHCS). The CTVHCS coverage area includes 39 counties in Central Texas, including McLennan County, and covers more than 35,000 square miles and 11 congressional districts. 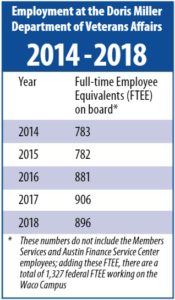 For the 2018 fiscal year (FY2018: Oct. 1, 2017 – Sept. 30, 2018), outpatient visits totaled 183,711 for the Doris Miller VAMC with a continued growth in the number of female veterans treated in Waco, increasing from 4,396 in FY2016 to 6,551 in FY2018. The Waco VA Hospital opened on May 6, 1932, with construction of additional buildings in phases through 1945. In 1974, the Waco VA’s Blind Rehabilitation Program was established and continues to be an excellent service to veterans in Waco and across the nation. Waco’s Blind Rehabilitation Unit is one of only 12 across the nation and veterans often travel here to take advantage of the training and services being offered. In 2009, then-VA Secretary Eric Shinseki and former U.S. Representative Chet Edwards visited the Waco VAMC to announce the Pharmacy Customer Care Center (PCCC) would move part of its Topeka, Kansas operations to the Waco campus. On October 5, 2012 a grand opening was held for the $9 million renovation project, and the PCCC currently employs a staff of more than 350. After two bills (H.R. 4199 and S.2128) were passed in 2014 by Congress to officially name the Waco VAMC as the “Doris Miller Department of Veterans Affairs Medical Center,” a celebration was held in February 2015 with the unveiling of a new sign to honor Doris “Dorie” Miller. Born in Waco, Miller was the first African American to be awarded the Navy Cross for his heroic action during the attack on Pearl Harbor while on the U.S.S. West Virginia. Miller continued to serve on active duty until he lost his life while serving on the U.S.S. Liscome Bay less than two years after the attack on Pearl Harbor. In June 2016, a new $8 million mega-laundry project was started on the Waco campus. 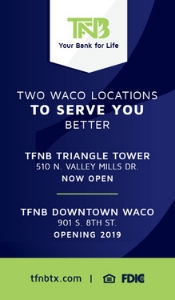 At its opening, the laundry provided services at both the Waco and Temple campuses of as well as the North Texas VAMC in Dallas and the Carl R. Army Darnall Medical Center at Fort Hood. The laundry employs 68 staff and has extended its services to include the VAMC in San Antonio. Renovations continued across the Doris Miller campus with a $8.8 million project for Building 8 that opened in October 2016 to house outpatient mental health patients. On April 20, 2017 a ribbon cutting celebrated the completion of a $7.4 million project for Building 93 to house the Veterans Integrated Service Network 17 Center of Excellence for Research on Returning War Veterans, which conducts cutting-edge research on post-traumatic stress and traumatic braining injuries. On October 16, 2017, a newly-created eight-bed women’s acute psychiatry unit was opened in Building 94 with a staff of 19 employees. The Doris Miller VA is also home to a 40-bed psychosocial rehabilitation program. New to Waco is a Women’s Traumatic Rehabilitation Unit (WTRU) with eight beds – one of only four in the nation – which is slated to open in early 2019. This is part of a $136,000 renovation project currently underway for Building 7 to use as a female Veteran’s Domiciliary to house treatment programs for the WTRU, PTSD and rehabilitation. This project will provide an entire floor dedicated to female beds as well as provide a quiet/mediation room for residents to increase their physical and psychological safety. Projects on the books at the Waco Campus for the future include a $2 million Canteen renovation, a $120,000 renovation to relocate and update the space for the pharmacy, and $7 million renovation of Building 10 for Community Living Center residents. The demolition part of this project has been awarded and is expected to start by the end of the 2018 calendar year. We look forward to a bright future for the Doris Miller Department of Veterans Affairs Medical Center in Waco and continued partnerships with our community partners.